What helps a community thrive? It’s a question with answers as variable as the people responding. Some might say that healthy communities are safe communities. To others, flourishing communities experience significant economic growth and stability. Still others would insist a thriving community may simply be one where people work together to support goals for the betterment of everyone. As demonstrated through extensive research by the Thriving Cities project, the strongest communities across the nation exhibit several of these qualities but they also have the ability to assemble unconventional coalitions to serve their residents. One of the brightest examples of this philosophy is when businesses and entrepreneurs partner with educators to create programs that support the common good. So where is this taking place? Here are three examples of communities where such innovations are occurring right now. “Using glass arts to connect young people from diverse cultural and economic backgrounds to better futures” is the mantra of this Tacoma, Washington-based art school. Founded by Dale Chihuly and Kathy Kaperick in 1994 and through support from The M.J. Murdock Charitable Trust, Hilltop Artists partners with several schools in the Tacoma School District to provide students an alternative to violence and delinquency through the creation of glass art made while working together. In addition to an artistic education, students also gain business knowledge as they help market and sell commissioned pieces. The efforts are paying off, as over the last four years, Team Production students have posted a perfect 100 percent graduation rate and 58 percent have gone on to pursue post-secondary education. Some of them likely doing so in art. Based in Missoula, Montana, Garden City Harvest grows sustainable produce for members of the local community in need. Through a partnership between companies like Missoula Federal Credit Union, educators including Willard Alternative High School, the University of Montana and organizations such as Missoula Youth Drug Court and the Human Resources Council, at-risk teenagers can gain on-the-job training through the Youth Farm employment program. The project also helps them to build confidence, leadership skills and a strong work ethic through the produce they grow. In addition to benefiting the students who take part in the program, Garden City Harvest supports those in need throughout the Missoula area. Today more than 90 percent of produce consumed in Montana is shipped from out of state and 20 percent of Missoulans live in poverty. The efforts of Garden City Harvest are working to change those numbers on both fronts. 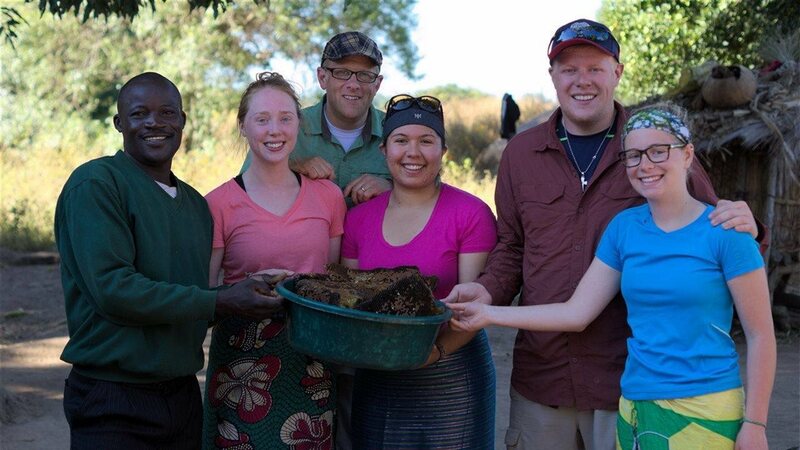 Launched by Gonzaga University, Zambia Gold utilizes a team of interns to collaborate with farmers in Zambia to import honey for sale in the U.S. Supported through the university and nonprofit foundations like The M.J. Murdock Charitable Trust, Zambia Gold does more than just give the people of Zambia an economic outlet. It also boosts educational opportunities in the country by filling Zambia's Chilena Basic School library with more than 20,000 books over the last eight years while offering valuable training in business and service to the Washington-based interns. This makes for a partnership that is economically, educationally, and, of course, deliciously beneficial all around. The examples above are just three ways in which organizations and educators have come together to make meaningful community changes in an unconventional way. Now, what can you do in your own community to create a unique change for the common good? What can you do to make your already great community even better? For inspiration and to learn more about the ways the M.J. Murdock Charitable Trust supports educational partnerships such as these, visit Murdocktrust.org/education.